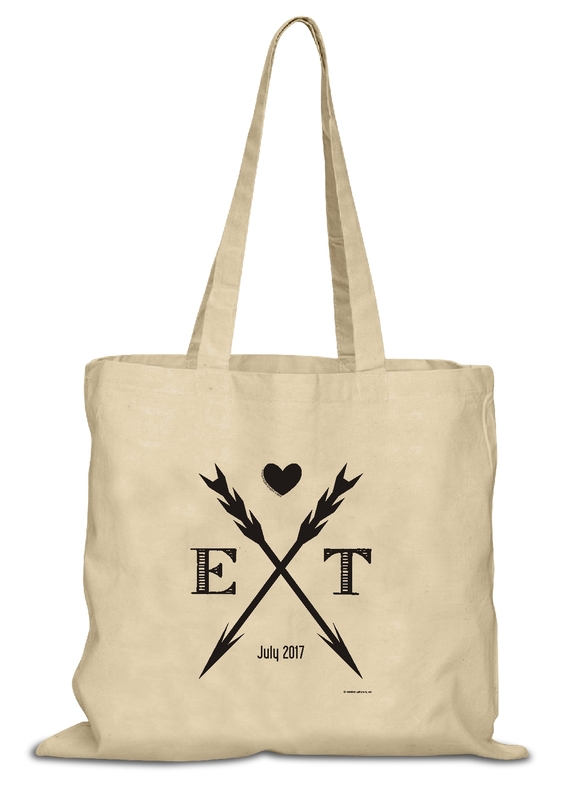 MATERIAL: Bags are 15" x 16", 7oz natural canvas duck cloth tote bags with extra long shoulder handles, printed in the U.S.A. by us! *ARTWORK: Either you submit your one color vector artwork (converted to line art, NO halftones, NO greyscale) OR we'll create artwork for you. Just provide your text (names/date/location, etc) and design. PROOF: Upon receipt of your complete order we will provide an artwork proof with layout/imprint choices, should you wish to modify the design, we'll work with you and provide a complimentary reproof. We have thousands of designs and fonts available - just tell us what you would like or send us a screen shot of something you'd like and our designers will create art choices for you! 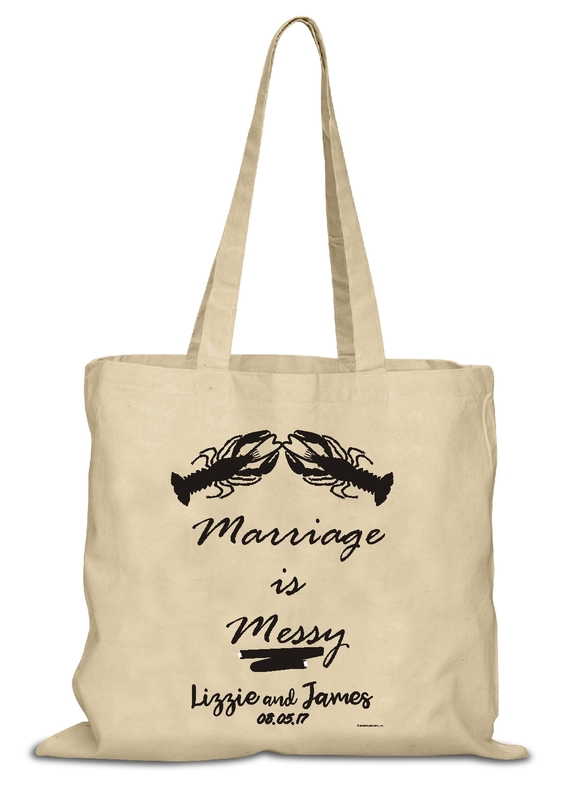 NOTE: These bags are natural only, we can not change the base color of the bib. As we are the manufacturer of this product - we can gladly work with you to design a more elaborate design. 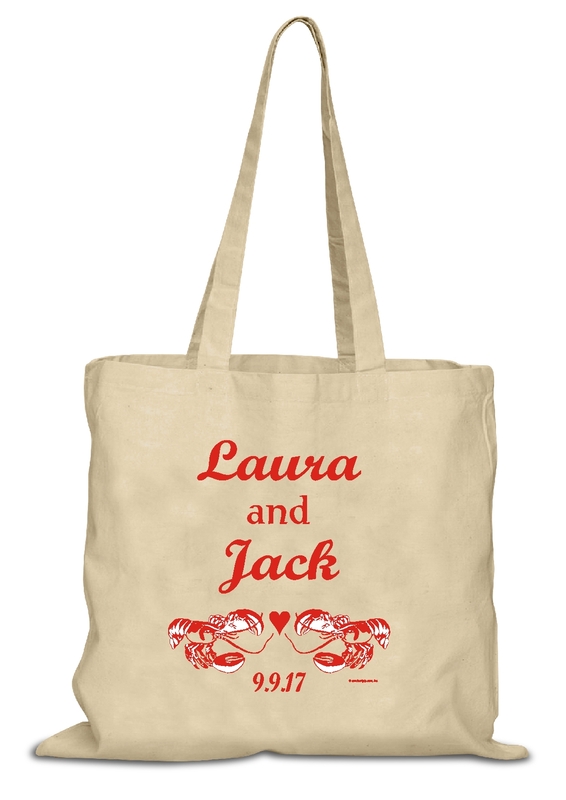 Bag imprinted centered left/right unless otherwise specified. 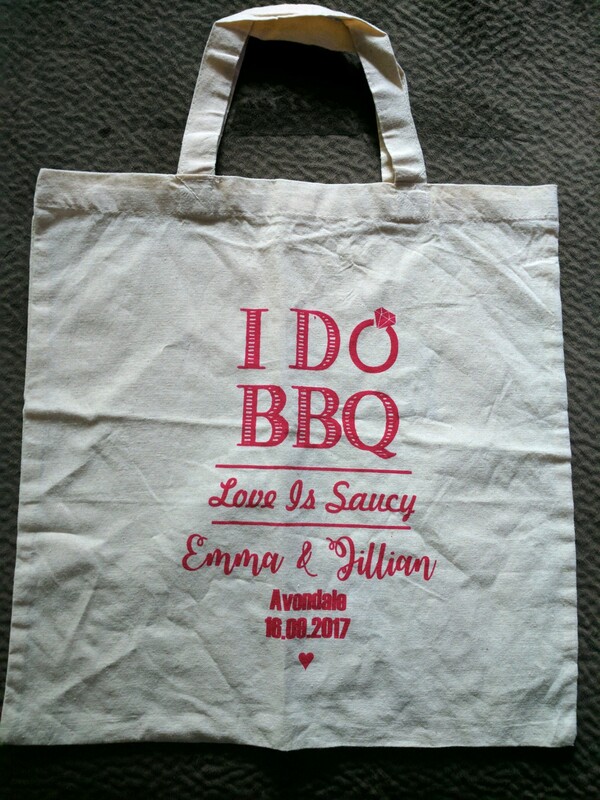 As always, a sample random imprinted bag is available for inspection prior to final sale purchase of your custom created order. Any concerns must be addressed prior to final sale purchase. Approximate 10 Day Production Time + Ship Time from New Jersey is the total time to receive your order. Need it sooner? Rush production / expedited shipping always available. Let us know WHEN you need it and if there are any rush production or expedited shipping requirements, we will invoice accordingly. Online since 1995! With PartyBibs, Sand Scripts, The AdBibLine and our thousands of other online partners - you have over twenty years of printing experience, service and dedication on your side!